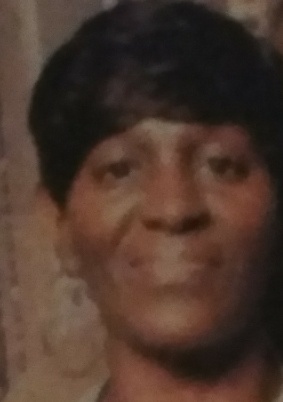 Tonya “Tangie” Denay Askew, of the 1000 block of Thrive Place, went to be with the Lord on Thursday, November 1, 2018. Tonya worked as a CNA for many years and currently worked as a housekeeper for Residence Inn Marriott Greenbrier. Tonya was predeceased by her parents, Oliver and Catherine Askew, Sr.; brother, Oliver Askew, Jr.; a special nephew, Leo “Lil L” Askew; and best friend, Angela Johnson. She leaves to cherish her memory: her daughter, Shekedra Askew and a god-daughter, Lashay Wilson; sons, Herbert Askew (LaWanda), Deshawn Askew, Deon Askew, and Tarus Lawrence, whom she considered her son; brothers, Freddy Askew (Pamela) and Larry Askew; sisters, Bessie Askew and Faye Askew; a god-sister, Henrietta Vann; grandchildren, Ke’ziah, Jaylen, Donte, and Torique; uncles. Richard Debrow (Iris) and Turner Debro (Mazeline); a sister-in-law, Paula Askew; a special friend, Charlie Butler, one best friend, Sharon Johnson; along with a host of other relatives and friends. My sincere condolences to the family of Tonya Askew. I have a few good memories of her and she was always a sweet woman. My thoughts and prayers are with her children, siblings and the rest of the family. May God bless you all. Sleep on “Tangie”. My sincere condolences to the family of Tonya Askew You are in my prayers. Sending our love and prayers to the Askew family from her Residence Inn Chesapeake Family. Next Earl F. Parker, Sr.